We are truly living in 1984. Orwell nailed it, and we are screwed. We are allowing democracy to be raped right in front of us. 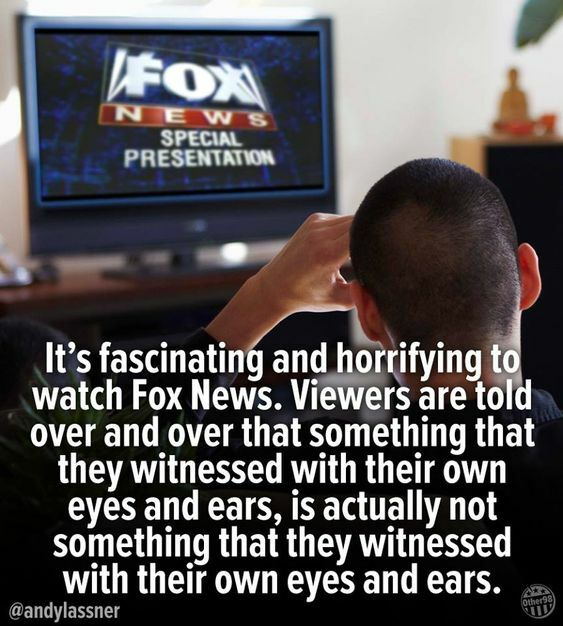 This entry was posted in News & Views, Quotes and tagged ;ies, @andylassner, 1984, ears, eyes, Fox News, George Owell, horrifying, reality, truth, witness on July 25, 2018 by Ray Buchanan. 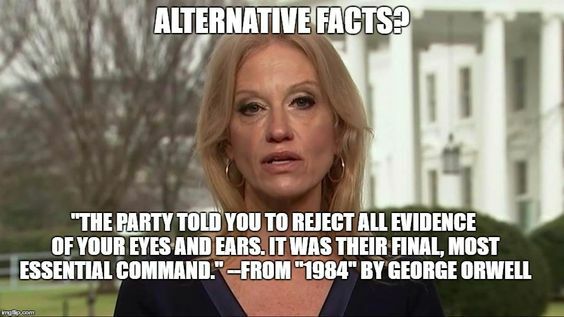 This entry was posted in News & Views, Quotes and tagged 1984, alternative facts, command, ears, evidence, eyes, George Orwell, Kellyanne Conway, the party on October 31, 2017 by Ray Buchanan. 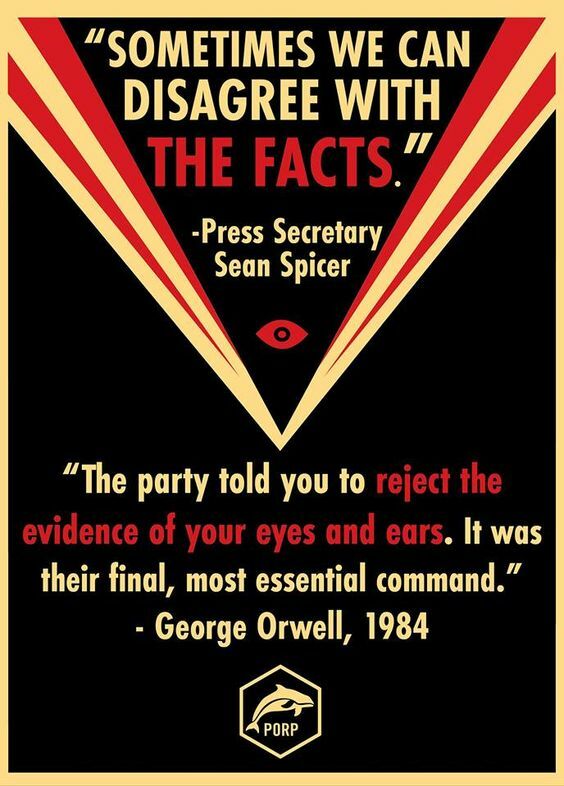 This entry was posted in Facts & Statistics, News & Views, Quotes and tagged 1984, alternative facts, BLOTUS, command, ears, evidence, eyes, facts, George Orwell, press secretary, quote, Sean Spicer, truth on February 21, 2017 by Ray Buchanan.